In a time gone by in Ceylon, it was coffee that was a booming plantation before disease struck, wiping out thousands of acres of coffee that adorned the hills of the country. Although tea overtook significantly making Sri Lanka the best producer of the beverage in the world, coffee is also making a comeback thanks to a few ardent coffee enthusiasts. Among them is Sri Lanka’s trusted total coffee solutions provider, the Colombo Coffee Company (CCC) who have taken it upon themselves to revive this splendid industry. As a part of its initiatives, CCC created its own brand of homegrown coffee, Toscana Ceylon which was introduced to the local and international market. “Toscana Ceylon has created quite a stir in the coffee market for its unique blend and characteristics, and is growing in popularity. Initiated first as a CSR project to help local coffee farmers, the brand now is becoming a stand-alone entity with a loyal following,” said CCC General Manager Lien Keerthisinghe. 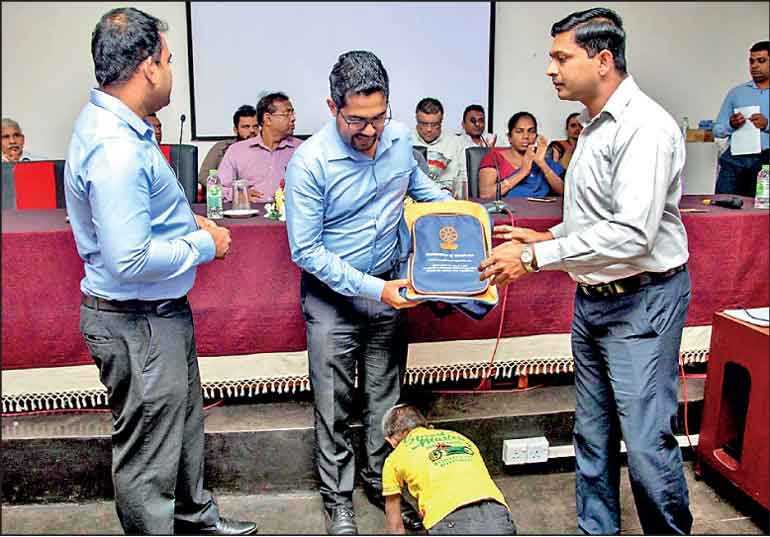 The distribution of more than 100 such school supply packs took place recently at the Department of Agricultural Research in Matale under the patronage of CCC General ManagerLien Keerthisinghe, Head of Finance and Operations Roshan Fernando, Engineering Manager Dineshan Perera, National Sales Manager Dimithri Somasundaram and the team representing Colombo Coffee Company. Harsha Liyanage, Harsha Chanaka, Janaka Bandara and Damith Dalawella representing Barista Coffee Lanka were also present. The project will continue annually and reach out to more and more coffee farmer families in the future. For more information on Toscana Ceylon and CCC’s complete coffee solutions, please call 0703606070 or visit their outlets at No. 38, Ward Place, Colombo 7 and the latest at No. 62A, Lighthouse Street, Galle Fort, Galle or call 0912243644.